Dr Carys Williams – Counsellor Central and East London and Essex. I am a psychotherapist and medical doctor based in Buckhurst Hill (West Essex) and Central London. I have had 7 years of training in counselling, psychotherapy and psychiatry with children, adolescents and adults. I am constantly updating my qualifications and attending professional development courses. Psychotherapy is about working with a professional who is qualified and experienced to provide you with an opportunity of a safe confidential space where you can talk and be listened to about whatever is troubling you. As an integrative therapist, I will draw upon different therapeutic models to tailor the therapy to the individual client. I will work with you to find ways in which we can help you manage your troubles and move forward towards living the life you imagined. In the initial consultation we can discuss in more detail about the models that I use in my practice. 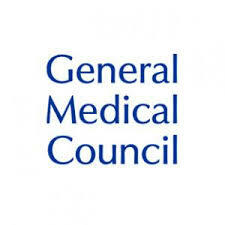 I am registered with the GMC, Royal College of Psychiatrists and The National Counselling Society. I abide by the BACP code of ethics and am regulated by the AHPP. I have worked as a doctor in the NHS in a range of specialties with both children and adults. With respect to psychotherapy I have worked with clients in schools, in universities and in the NHS. I am the founder of the counselling charity 16 to 25 Support. I have experience of working with a range of issues such as personal life crisis, eating disorders, depression, stress, anxiety, postnatal depression, domestic violence, relationship difficulties, gender issues, OCD and stress disorders. I have worked with individuals, groups, couples and families. I am able to work with people in person, via telephone or via Skype. I also have experience in teaching groups on mental health and physical health issues. My work as a counsellor and psychotherapist covers the areas of Central and East London and Essex. If you are seeking a counsellor Central London, East London or Essex please feel free to get in touch.